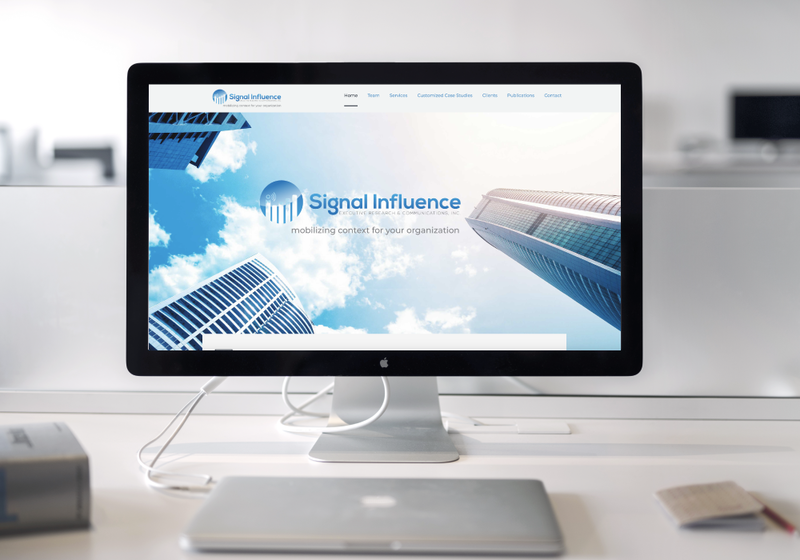 Welcome to the new website of Signal Influence Executive Research & Communications, Inc. – or SIERC for short. Our website upgrade comes on the sixth anniversary of our official incorporation in Canada, though we’ve been conducting business in the communications and leadership communication space since 2002 in the financial services, communications and information technology sectors, as well as in the government and university sectors. This new website is an expression of the expanded depth and range of activities in which we have come to specialize over the last few years. There are four main areas of specialization, as you can see on our services page. Executive and senior management communications and consulting essentially covers our research and writing capabilities in leadership communication of virtually every sort – keynote, internal, external and reputation management. The second offering focuses on something that’s related to leadership and communication: corporate, public and institutional memory. Here, we have an established record in being able to dive in deeply into the experience of a firm and making sense of it for managers and decision-makers. The proof here reside in the multiple publications and engagements we have acquired over the years to capture that experience and translate it to multiple audiences – from elites to the broad market. Deep organizational research is actually pretty rare as a service offering. Many firms claim to offer it, but often stop at a certain depth level. SIERC associates have had years of training to go deeper—to analyze, distill and make sense of large masses of data is are not easily accessed. Our experience with research design and complexity has translated into the SIERC Method, which we hope to discuss in a future edition of this blog. Training, coaching and development rounds out our main service offerings and shines a light on the talent we have in teaching, training and coaching middle and senior managers in a wide variety of settings. One of the things that’s completely new and exciting on this website is our Customized Case Studies section. Over the past couple of years, our CEO and Director of Research noticed a strong desire on the part of organizations to quickly and definitively get to the bottom of a particular issue on the part of decision makers. They were often looking for coherent and evidence-based cases from their own organization to better understand their corporate culture or even the anatomy of how specific and consequential decisions were made in the past. These customized case studies, in their approach, depth and presentation represent a unique offering in the industry. Our clients know this for certain – and we believe many more firms will be able to find our approach and services specifically useful. That’s what we mean when we say we mobilize context for your organization. Context is not everything, but it is important to understand, to analyze and to see where it fits in the kinds of decisions you are making today. We hope you find this new website informative and useful. We’d love to hear from you about what we do and what we can do for you – contact us to learn more. Signal Influence Executive Research & Communications, Inc. (SIERC) is a boutique consulting firm specializing in the strategic application of organizational experience for senior leadership.